I’m really happy and proud of myself. You always fantasise about winning something like this but you don’t actually think that it could happen to you. I’m really proud of all the hard work and really humbled at the same time. How did you first get into pharmacy? Can you give me a brief overview of your career in pharmacy? I got into pharmacy 4.5 years ago after spending 7 years at home as a stay at home mum. I was originally a Vet Nurse and then I had my children and decided to stay home with them. I then decided it was time to get back into the workforce. I tried to get back into vet nursing but there wasn’t anything available so I thought what’s the next best thing. I was interested in the medical field so I thought I’ll go to the local chemist and start from there. So that’s how I got into it basically. I’ve got S2/S3 training, the long dispensary course, Cert 3 in community pharmacy and I’m undertaking a Cert 4 in dispensary at the moment. How do you think training has benefited you in your career? It’s opened my eyes up to the vastness of the role. I didn’t think the role was a vast as it actually is. There’s so much the tole of a pharmacy assistant entails and that’s just opened my eye up. It’s given me more knowledge on products which is really handy to be educated especially when customers walk in the door. It’s also given me confidence as well. I feel like I’m educated and confident to be able to be able to speak to customers about products and about conditions etc. I would like to finish off my pharmacy assistant training and do as much as I can in that field. I have thought about going on and doing pharmacy. I’m a mum of 3 kids so that’s something that’s in the back of my mind but I do want to go as far as I can within a pharmacy assistant. Tell us about your PATY experience so far? What was the workshop day like? What did you enjoy the most about the day? Really relaxing. I was a nervous wreck when I first arrived and I think so was everyone else. But once we got there, we settled in, we got our seats and we heard Kathy speak, we met the judges. It was actually really, really relaxing. They made us feel like you don’t have to worry, let’s just have fun and enjoy the experience. I enjoyed conversing with like-minded people that in the same industry, learning about what they are doing in their pharmacy, taking away things that we could do better back home to my pharmacy. Just being able to be on the same wave length with them and being able to relate. I work with my colleagues and they are the only people that I see so to be able to have that broadened was really nice. Were you apprehensive about anything? I was scared about not knowing. We weren’t given any information and it was just like, you don’t have to prepare yourself – just come. I find that really difficult as I am a preparer. I like to know how to dot the I’s and cross the t’s and I want to know that in advance. To have don’t prepare for anything, just come, was really hard. I didn’t know there was an interview with the judges so I really had no idea what it entailed! Would you encourage others to participate in PATY in the future? Why? Yes, absolutely! It actually fans that flame inside of you. If you’re feeling that your are not challenged or if you’re feeling you’ve come to a point in your career where you’re not interested anymore or passionate, I just feel like it really fans that flame. It really gives you that passion back. You get to understand and believe what I’m doing makes a difference and what I’m doing is important and you want to take all that back with you and you want to implement all these brand new things back into your pharmacy and make it so much better for your customers. I would encourage everybody, regardless of how short or long you’ve been in the industry, to go if you get the chance. What have you gained for PATY so far? I’ve gained a boost of confidence. I’ve gained purpose. I still feel like I am fairly new in the industry. I was trying to find my feet a lot this year, trying to find out where I fitted within pharmacy, within pharmacy assistant, within my job etc. I think PATY has given me a bit more of a clear idea and purpose, as well as a confidence boost. Why would you encourage a person to nominate someone or themselves for PATY? 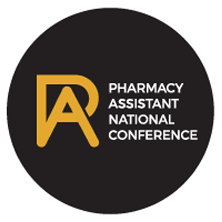 Regardless of where you are in pharmacy, whether you’ve been there for 15years and feeling a little burnt out and lacking passion or you’ve been there for 12mths and still finding your feet… Having someone nominate you for PATY will give you the confidence boost and the self-esteem to step out and find your passion again or find your purpose! Be brave! Because you’ll never become who you are unless you step out of where you are! What would you like to see change in pharmacy? Recognition of the role itself for pharmacy assistants. Also, to be able to enable pharmacy assistants to become educated. I’ve been so blessed with my work that my bosses have funded all my study but not all bosses can do that. A better pharmacy assistant is an educated one. I really believe if there was some sort of system in place where we could help fund employers to help educate, that would be a really great step forward. What do you love about pharmacy? I love the variety of the role. I love that there is no one day is exactly the same. I love the people too.